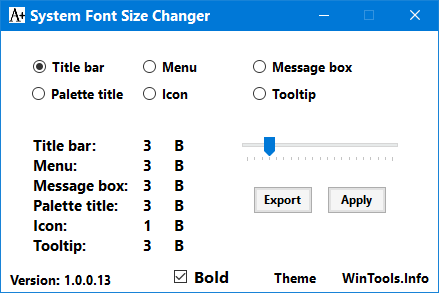 System Font Size Changer is a text display repair tool. 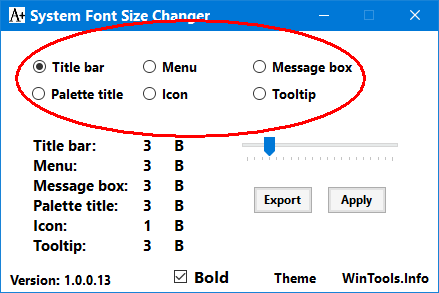 It enables to change the font sizes used by the system. The program was created as a consequence of the fact that Microsoft has removed this option in the Windows 10 Creators Update version. 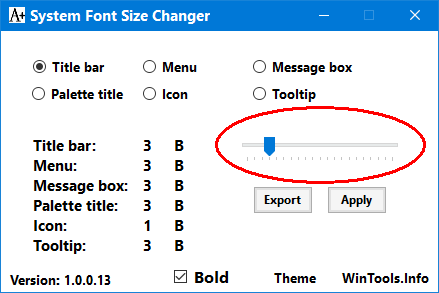 It is a fundamental problem of Windows operating systems that the default font sizes used by the system are quite small when using a high resolution display setting, thus making reading difficult. 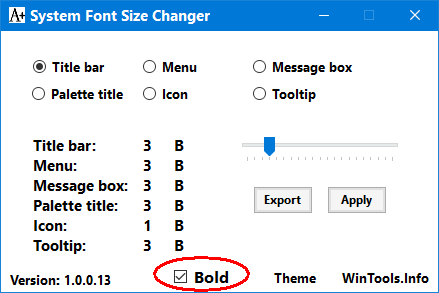 In previous Windows versions there was a customization option for this. 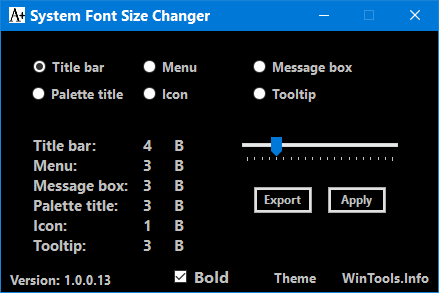 Another issue with the Windows 10 Creators Update is that in upgrade installation mode the previously set font sizes return to default, that is, to small size. 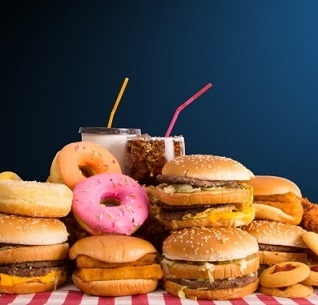 Thus the problem of system font size is inevitable if someone is installing the new Windows or upgrading to it. 975 3,987 WinTools <img src="https://www.oldergeeks.com/downloads/gallery/thumbs/SystemFontSizeChanger2_th.png"border="0"> Sep 21, 2018 - 10:47 1.2.0.24 54KB EXE , out of 23 Votes.